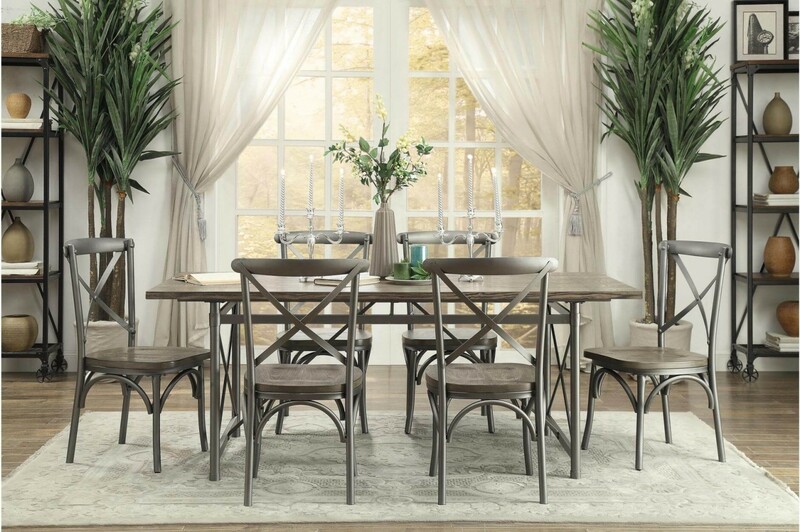 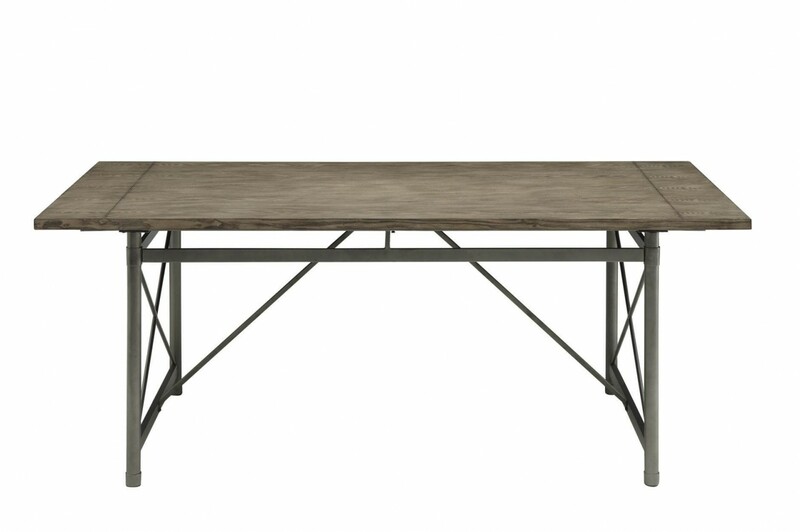 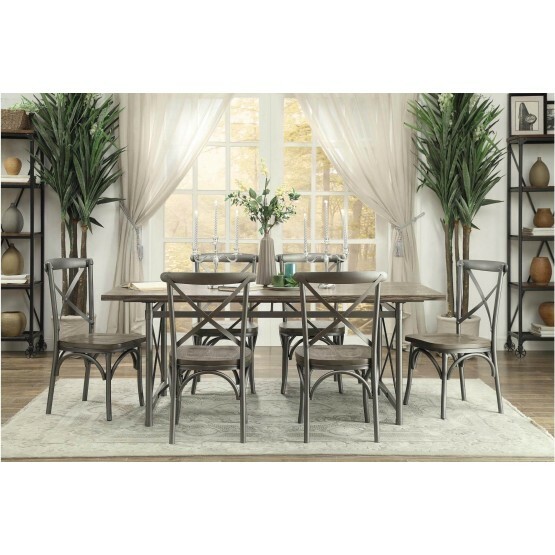 W76" x D36" x H30"
Subtle rustic industrial styling is utilized to create the look of the Springer Dining Room Collection by Homelegance. 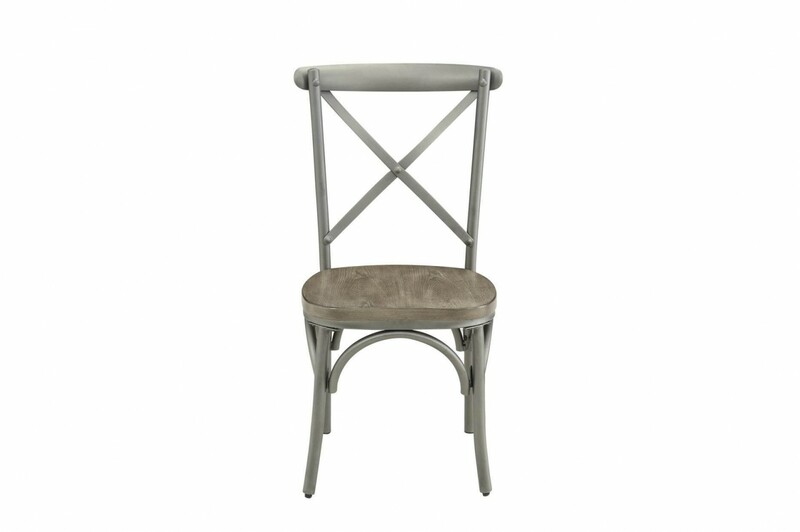 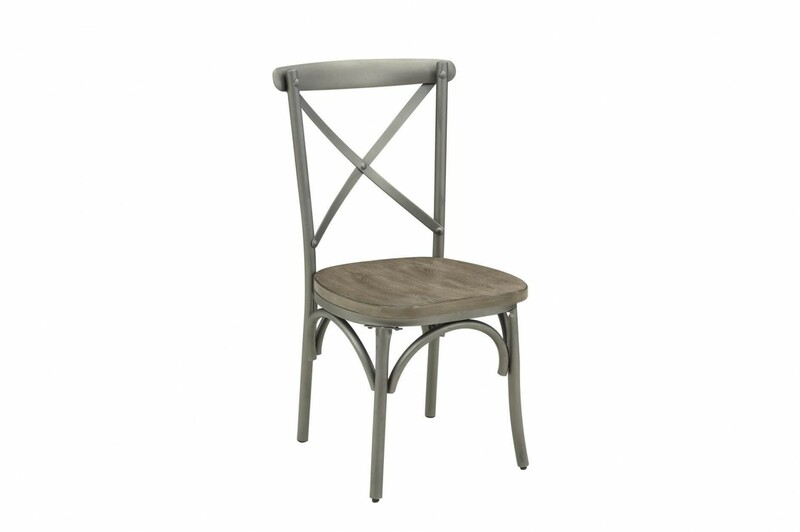 Curved back chairs create soft contrast to the metal base and ash veneer covered top. 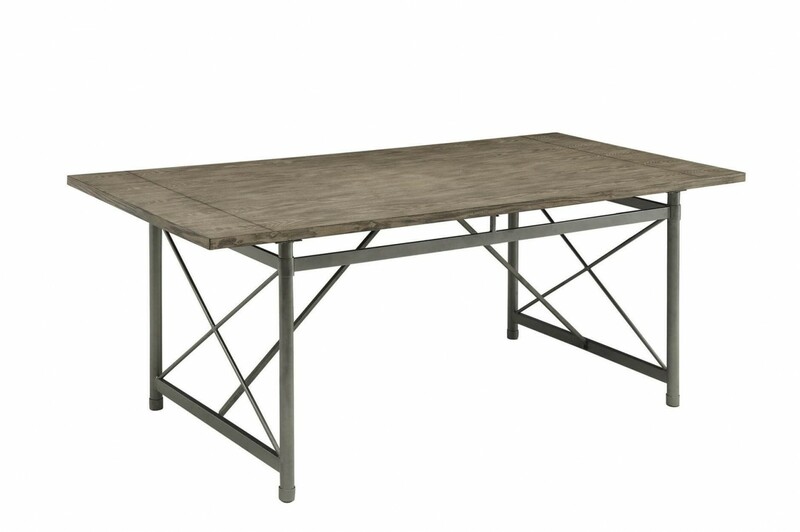 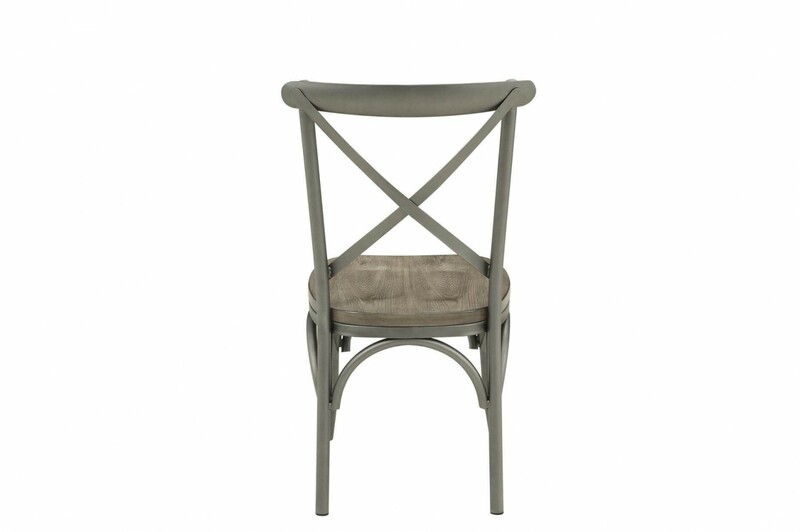 The metal and wood of this collection feature complementing grey finishes for subtle weathered effect. 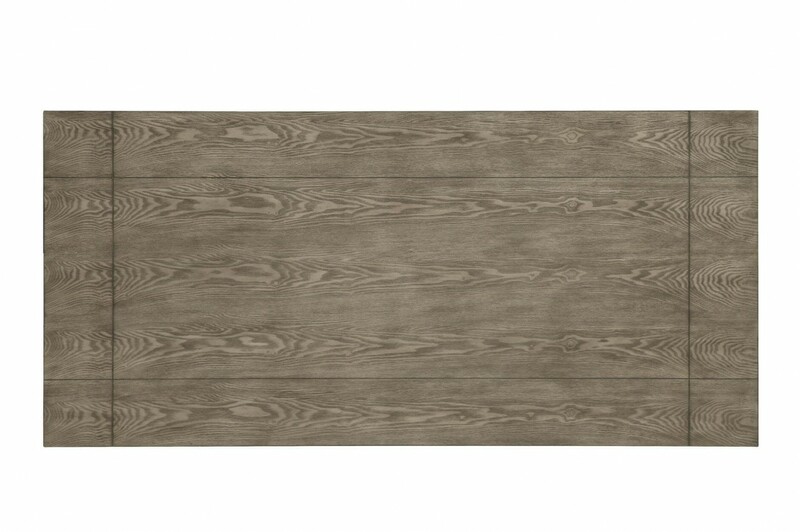 W21.5" x D19.5" x H36.5"